This charming Victorian home is beautifully landscaped; situated on a quiet street along a stream. It is centrally located near town, golf course, riding stables, Shadmoor Park, fishing boats, lighthouse, lake and ocean beaches. The four bedrooms include a master suite on the third floor that is spacious and private, with a king bed, Sonos & flat screen TV. The master bath has a full shower and a footed tub.The main living area is on the second floor with a bright open floor plan. The living room, kitchen and dining room open up to an upper level deck with gas grill and seating for eight. This deck overlooks the beautiful backyard and the lower deck with hot tub; bar/table sitting area w/ grill and an outdoor shower. The first floor has three large bedrooms, each with queen sized beds, one of which is a den with a queen size pull out sofa-bed. The first floor has a full bath as well. Outside, you can relax and enjoy a shaded fully furnished wraparound patio to watch the sun set. Keywords: Spacious Victorian, Secluded, private home, fenced in yard, pet friendly. There is a bathroom on each floor as well as an outside shower and hot tub; master-bath has a tub as well. Located off the main highway so easily accessible to all Montauk has to offer Resturant’s/bars beaches, golf, tennis, horseback riding, surfing, fishing, jet skiing, sky diving. Very private, fenced in yard, hot tub, pagoda, 3 separate outside seating areas. Amazing! the photos do not give it justice! This property is a home and SO beautiful! I would stay there 100 times over :) !! Stayed at this property last weekend and it was lovely. The house is clean, spacious and and has great outdoor space for hanging out with friends. The house is also very close the main town area and many popular Montauk establishments. Deborah the owner is very responsive and wonderful to work with. All in all, had an amazing time and my girlfriends and I are looking forward to coming back soon! I almost don't want to write such a glowing review because I don't want anyone to book Debi's home before I do next summer! Debi was the perfect host from start to finish. Working with her to book the stay was a pleasure. I came here with 7 friends for our first trip to Montauk and we couldn't have ended up with a better house. This house comfortably slept all of us- the pictures do no do this home justice. The backyard and outdoor shower are out of a movie. Debi left helpful handwritten notes throughout the house for us to navigate our way through the weekend and the town. Her home is a 15-20 minute walk to one beach and into town. We took advantage of every outdoor seating area this home has to offer and I am already missing Montauk! I can't wait to return to this house and to Montauk. 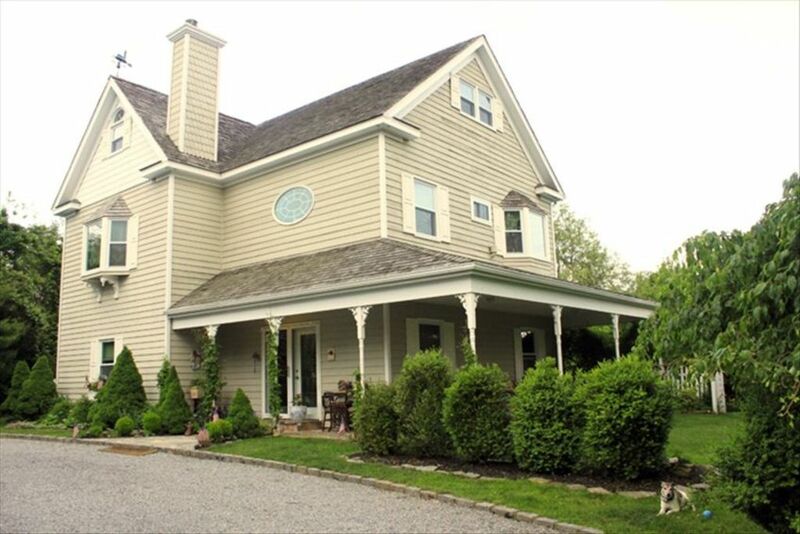 This is an absolutely beautiful home in a great location in Montauk. We booked a couples trip (6 people total) for a weekend getaway and we were all highly impressed. The owner is wonderful - very easy to work with and responds to emails promptly. The house is within walking distance to "downtown" Montauk and close to the beach as well. Accommodations were incredibly clean and tidy, and the layout is perfect for hanging out together in a group. We can't wait to come back next summer! I recently stayed at this gorgeous home with a group of friends, and we were all so impressed. Not only is the house itself beautiful, spacious, clean, cozy, and able to accommodate a large group, but the owner also made sure it was fully stocked and ready for our arrival. You could not ask for a more perfect place to stay! The two story deck was setup with a grill and plenty of patio furtniture, and the hot tub was ready for us when we arrived! The yard is beautiful, with multiple outdoor seating areas and an outdoor shower. There were beach chairs, a cooler, beach towels, and an umbrella for us to take to the beach, along with helpful hints about where we could find free parking! The house was located right near town, but still enough off the beaten path that we were able to enjoy the peace and quiet of Montauk. The owner was very accomodating and was always available to anwer my questions/make sure we had everything we needed. We can't imagine staying anywhere else is Montauk again! A group of friends and I had the opportunity to stay at this house over 4th of July weekend. I can't say enough good things! The owner was such a pleasure to communicate with and made the entire process very easy. The house itself is gorgeous and has everything you could want and more! The backyard is big and beautiful with a jacuzzi, there is a second floor deck with a grill, and a side deck with a fire pit. The location is amazing - so close to town while still being away from all the 4th of July craziness. All the rooms are clean, well decorated and with plenty of space. We all had such an amazing time and hope we are able to go back again! Surf lessons/camp available, SUP (stand up paddle boarding), skatepark,sailing, ski diving, golf, historic lighthouse,horseback riding, ferry to Block Island, all types of fishing!